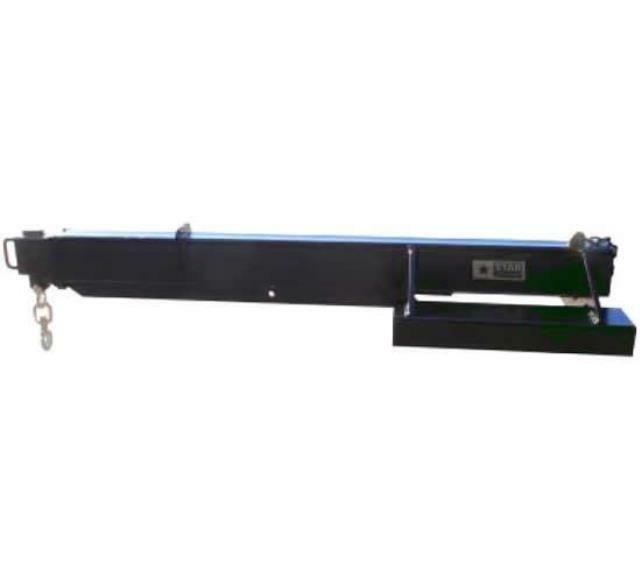 STAR # 1360-B ; MAX LOAD CAPACITY 5000 LBS. ; WEIGHT 585 LBS. ; #2 = 7' load capacity = 4000 lbs. ; #3 = 9' load capacity = 3000 lbs. * Please call us for any questions on our jib fork truck rentals in Cincinnati Ohio.